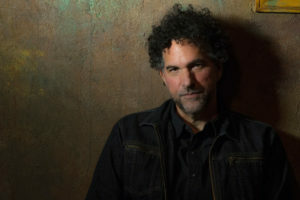 Mickey Raphael has played harmonica for just about everyone in the business over his 45-year career, from Snoop Dogg to Blue Oyster Cult to Wynton Marsalis to Neil Young. In fact, last year, he toured with red-hot country singer Chris Stapleton. At least he did until his friend, mentor, and longtime boss, Willie Nelson, said it was time to come back to the Family. Raphael left Stapleton and joined up with Nelson to go on the road again, if you will. We spoke with Raphael recently about Nelson’s health (he recently canceled a string of shows due to illness), his career, and the band’s opinion of set lists. First of all, how is Willie feeling? I think he’s doing good, because we start up in about 10 days. He had a bad cold, and with all of this flu going around, he did the right thing by just laying low. You’ve built up quite a list of sessions and gigs beyond just Willie’s band. What keeps you with him after all these years? Loyalty, for one thing. Both his loyalty to me and my loyalty to him. I started out with Willie when I was 20. I grew up under his tutelage. Because of him I’ve been able to make all these other musical connections and had the opportunity to play with a lot of other people on their records, and so my loyalty is really to him. The band is called Willie and Family, and that’s what it is because we’ve been together for so long. I owe him for the opportunity to be able to work with all of these other artists. Willie is famous for changing the way he sings and plays his songs; what do you like about that approach? It’s all improv. We don’t ever rehearse. We know who starts the songs and how they end. Everything else is up for grabs. That means I can experiment with new stuff. In the studio, once you play it, it’s in stone. Onstage, I can change it every night. I can try something new, and if it doesn’t work I know it immediately and I don’t do it again. We have a lot of freedom to experiment; that’s how you grow and get better. So you probably don’t use set lists much these days. We’ve never had a set list at all. Nope. He starts the song, and once we hear the intro, we come right in and we know what’s going on. The set follows a certain template; he starts off with “Whiskey River,” and … I can’t remember what happens after that, but his intro is the only cue. So how many songs does the band have ready to go? I have no idea. With him, all you need is him and the guitar, so if we don’t know it, we lay out. We’re good musicians, so we can just kind of follow him. The song doesn’t have to be rehearsed for us to play it. In fact, that’s the way it is in the studio, too. I’m hearing the song for the first time and playing what I feel. We’re in the studio so much now I can’t remember what’s come out and what hasn’t. We’re actually working on an album of [Frank] Sinatra songs right now. We know he’s a great songwriter, but what do you think makes Willie such a great interpreter? I think he just loves the music and he’s a great musician. And he’s a unique singer. His phrasing is very unique. A lot of them are songs he grew up with. They’re part of his life, and he really enjoys doing it. Where: Peace Center, 300 S. Main St. This entry was posted on Friday, March 2nd, 2018 at 8:54 am and is filed under Interviews, Mickey Raphael. You can follow any responses to this entry through the RSS 2.0 feed. You can leave a response, or trackback from your own site.